becomes even more fun and special. 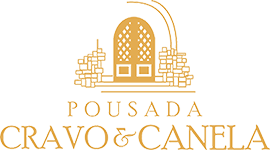 When staying at one of the Hotels or Associated Inns of the Charm Routes, SKY customers who identify themselves at the time of booking and check-in and make a reservation directly at Pousada Cravo & Canela, will be entitled to a discount of 15 % on the value of the reservation subject to the existence of availability and except in the packages and holidays. This promotion is valid only for the holder of the SKY subscription who must present a copy of the last invoice at the time of check in and the discount mentioned here is not cumulative with other discounts or benefits already granted.